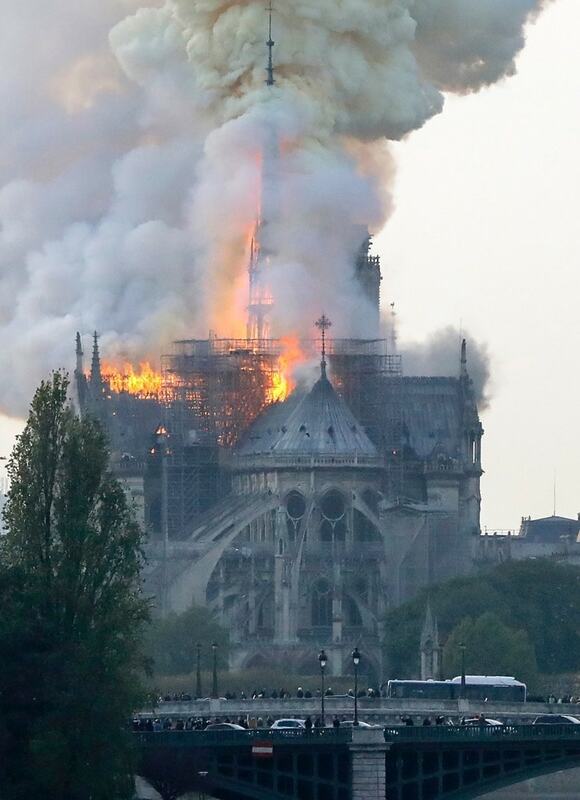 Notre Dame Cathedral - one of the most popular landmarks in Paris - is going up in flames. The entire roof has just collapsed. It gets more than 12 million visitors each year, making it the most visited building in Paris. Its quite a shame when such an iconic structure has so much damage. What a terrible thing! I was there and loved it. It sounds like the building will be spared but the spires, roof, etc. are gone. I wish them well in rebuilding. One bit of good news … 16 statues that sit atop Notre Dame - representing the 12 apostles and 4 evangelists - were removed just last week as part of the restoration project. That really is good news. I also heard that they got out most of the priceless relics and art, maybe not all. French billionaires and major companies have pledged to donate at least 600 million euros to help reconstruct the Notre Dame Cathedral. This morning it was up to a billion euros! I wonder if insurance is involved at all with this.